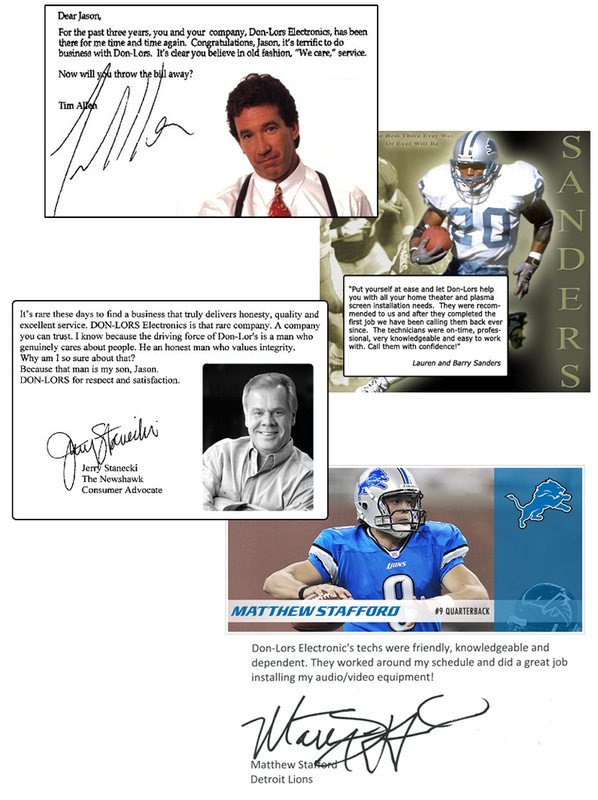 "By working together with Don-Lors we are able to consolidate all of our audio/video requirements in a single vendor. 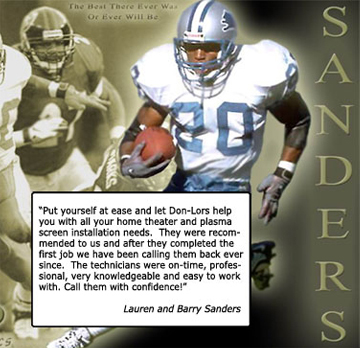 From pre-wire, to sound, TV and all the hardware we need, Don-Lors handles it all without any stress. They even install and service our Members only, corporate network. Using one trusted and professional vendor saves us time and anxiety and has actually been a big reason for how quickly our company has grown over the last few years." "As part of the National Transportation Association, it is imperative that we are in constant contact with anything involving the weather and world events. 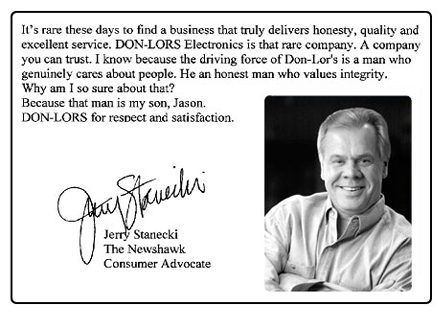 Our Dish Network System has been flawless and so was the service we received from Don-Lors." “Install was smooth and quick. Everything is working great. Everyone at Don-Lors delivered as promised!" "Thank you for the tremendous job you did for us at the NBA All Star Game this year. Over the past four years during the NBA finals, it is always a pleasure to hit the ground knowing I won't have any issues to deal with. We look forward to working together again at this year's Championships." 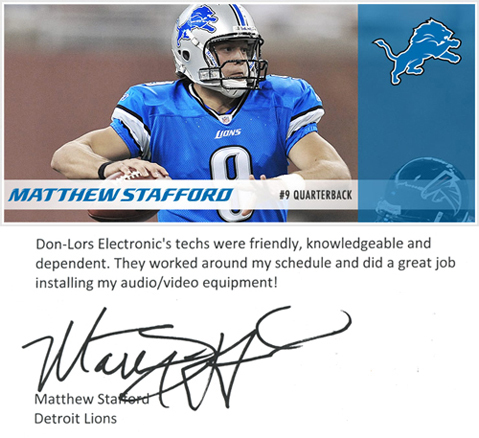 "I have been working with Don Lors Electronics for 5 years now and they have gotten the job done every time I have needed them. You do not have to worry about your event and can rely on Chris and his team." 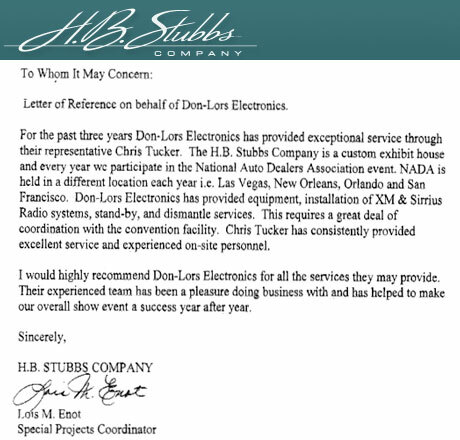 "Don-Lors Electronics provided a solution to our unique installation for a major automotive OEM. Their prompt and professional service was performed in conjunction with a pilot program which has nationwide implications. 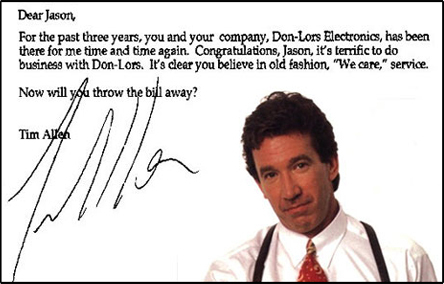 Don-Lors understanding and ability to meet the demands of a large corporation makes them a company we will continue to work with in the future." "Always reliable and never a concern." "Great technician! Thank you the TV looks great." "Richard T. did a great job of setting up my new system and was very patient with this old ladies many stupid questions. Everything appears to be working very well." "Dave Z. did a great job in installing my new dell computer , but moreover his attitude, advice & help were top-rate." "Chris T. and Rick T. did a very good job & offered very good suggestions as to how to set up my system to work better for me." "I saw on our invoice that you had a form for customer feedback. So ... Please give our installer Burt a pat on the back. You have a great employee there. He was very helpful, knowledgeable and courteous. Bill and I were very happy with the install and the great job he did. Thanks so much." "Chris T. was very professional and knowledgeable regarding the installation of our new computer and migrating data from our old laptop." "Employee was very helpful and courteous." "Did a professional job setting up my system. I'm very happy with his work." "He was very courteous and polite!" "Superb work - very knowledgeable - always here when he said he would be - went about his work with no interruptions - Chris is a great asset to your company - you have a gem of an employee." "Chris T. was helpful, knowledgeable and friendly." "Seemed very competent and professional. " "Chris T. set up our computer on 11-22-04. He was professional, courteous, and did a great job. Highly recommend him." "Chris T. and Dave. Z These gentlemen did a very fine job in setting up my computer and connecting it to the Internet. I was very pleased with your service. Happy Holidays!" "Excellent service. Friendly and efficient." "Salesperson was very helpful and took care of my questions."